Stimulus plans: good or bad? Free markets: How free are they? Jobs: Can we afford them? Occupy Wall Street... worldwide! Everybodys talking about the economy, but how can we, the people, understand what Wall Street or Washington knows - or say they know? With clear, witty writing and quirky, accessible art, this important and timely graphic novel transforms the dismal science of economics into a fun, fact-filled story about human nature and our attempts to make the most of what weve got. 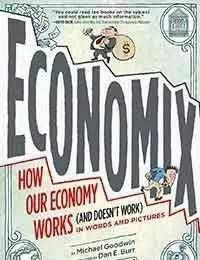 Its the essential, accessible guide to understanding the economy and economic practices.